Managers and employees can both do more to improve work culture. 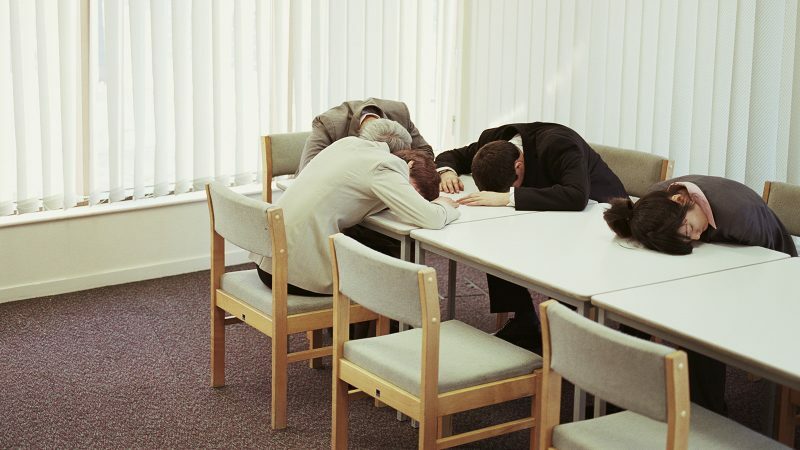 Meetings: You have to live with them in corporate America, which means you can’t live without them. So, when you’re not the one calling the shots, it’s easy to feel like you have no control over how meetings play out — or how long they end up being. Here’s what both managers and employees can do to make the meeting culture easier on everyone. Does someone keep stopping by your desk for a mid-day chat, when you’re knee-deep in all the work you have to do? Try using the FlowLight so others know how you’re doing, and whether or not it’s a good time to come over and talk. An agenda is only as useful as you make it, though, so try not to stray from it. This happens all the time and can get pretty awkward once the dust settles. After an argument, managers should take the time to see where both parties are coming from, and what could work for each person going forward. Don’t be afraid to jump in when you feel like things are heading south — just be sure to appear composed and use every word deliberately to moderate the situation that’s unfolding. Soon enough, team members will be onto the next meeting or back at their desks and before you know it, they’ll have moved on from the heated interactions that spiraled out of control during this meeting.